The balanced fish nutrition selects the ingredients and their nutrient content that would meet the needs of species grown at a more economical cost. 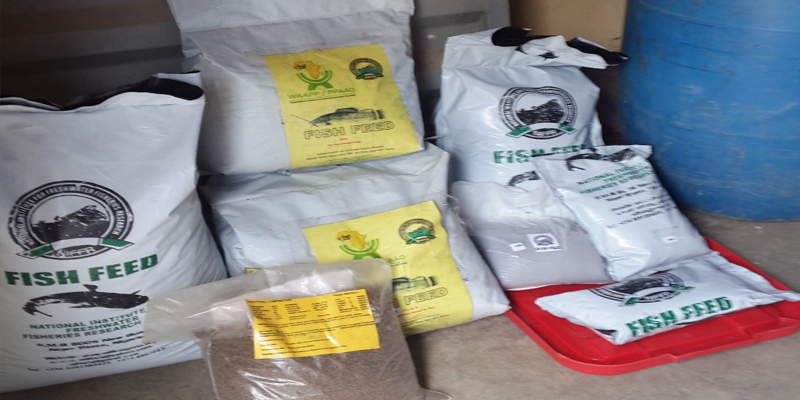 The feed is developed from mainly sorghum, groundnut cake, flour, maize, cassava, all of which constitute some 38% of the ingredients used, and provides between 30% and 50% of the Catfish nutrient needs. The ingredients are mixed, oiled and dried to produce floating granules which are then bagged.